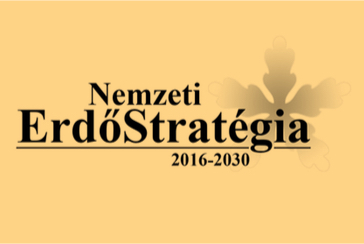 On 13 October 2016 Hungary adopted the new “National Forest Strategy 2016-2030” (NFS). The last decades brought extraordinary political and legal changes in Hungary, including the accession to the EU. The major result of the international forest policy developments in Hungary was definitely the set-up of the National Forest Programme (NFP) for the period 2006-2015. The NFP embraced ten main goals such as nature protection in forest, development of state and private forest management, or the modern forms of forest protection. By the end of 2015, following the review of the implementation results of the NFP main objectives, the process of developing a new, long-term forest strategy started. The new “National Forest Strategy 2016-2030” (NFS) corresponds with main objectives of the EU Forest Strategy of 2013 and enables the maintenance of multiple functions of Hungarian forests through their balanced impact on environment, society and the economy. Thus the NFS remains the high political commitment for sustainable forest management and addresses current challenges: ensuring the conservation and enrichment of the forest, reducing of the impacts of climate change and considering the impact of natural factors and human interventions on forest ecosystems and habitats. The NFS also takes into account an increasing social support for efforts to promote nature conservation in forests and the extension of close-to-nature forest management.